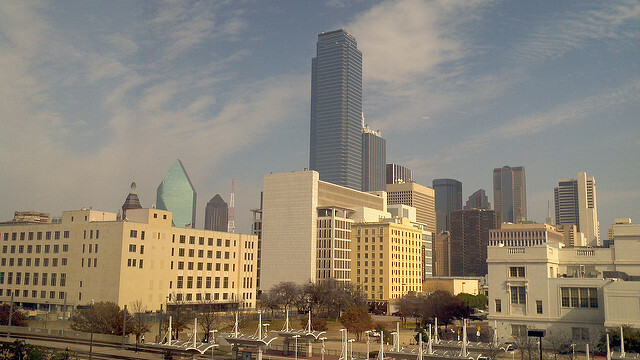 What comes to mind when you think of Dallas, Texas? Oil, football, baseball, and big city life? How about Dallas’ rather mild climate and abundant sunshine? While professional league sports teams and one of the largest metropolises in the nation are prominent features of Dallas, Texas, one particular feature is starting to gain steam: the uptick of Dallas residents taking advantage of the subtropical climate by going solar. While Dallas experiences four distinct seasons, even winter is rather mild. . .with average highs in the upper 50s each day. On the flip side, summers can be hot – with July and August average highs skyrocketing to 96 degrees. Whether winter, summer, spring, or fall. . .one thing Dallas has in common across all four seasons is the majority of the time, the sun is shining. On average, Dallas gets about 5.2 hours of full sun per day, with 61% of the year having a forecast of sun or partial sun. What’s that mean sun-wise? Across an entire year, Dallas experiences 1,898 total hours of sun. When you’re wanting to harvest energy from sunlight, that’s a pretty good statistic to have! Comparatively speaking, cities like Seattle, Washington and Pittsburgh, Pennsylvania only average around 55 days throughout the entire year with full sun. What’s the Benefit of Going Solar in Dallas? Dallas’ energy market is deregulated, meaning residents can shop around for energy companies they’d like to connect to. In general, electricity is about 25% cheaper than most of the nation (thanks to the deregulated market keeping electricity prices in check); however, you’re still likely to save big if you decide to go solar. One of the big reasons is because of the great rebates and tax credits that are available to Dallas residents – essentially knocking off about half of the price of a solar energy system installation. That’s major savings! 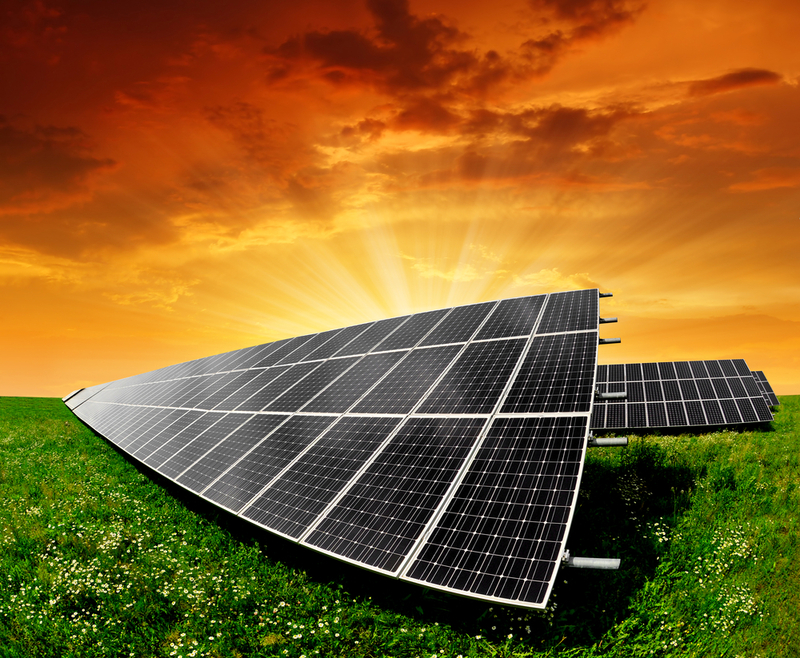 Couple that with the thousands of dollars you’ll save over the life of your system (usually about 25 years), and you’ll soon see why solar energy is quickly gaining steam. A typical 5kW residential solar energy system will cost between $15,000 to $25,000 upfront (depending on the type of solar panels you use). But, don’t worry – this is the price that gets knocked down significantly based on rebates and tax credits – federal, state, and city-level. Average monthly savings will shave off $87 from your energy bill, leading to a yearly savings of $1,044. You’ll start to see a return on investment around 10-12 years and an average savings over the entire life of your solar energy system of about $20,000! Don’t despair when you see the average cost of a solar energy system if you live in Dallas. Because, even if you go with the high end estimates, your initial cost will be nowhere near the sticker price after you apply federal tax credits, state incentives, and local rebates. Federal Tax Credit: This one’s a biggie. Recently extended until 2019, this federal tax credit allows you to shave 30% off the total cost of your solar energy system – installation and everything. If you’re interested in going solar, I’d say go ahead and make your decision prior to 2019. Starting in 2020, the incentive will drop to 26%, by 2021, it’ll drop to 22%, and by 2022. . .there’ll be no federal tax credit at all. State-level Incentives: If you’re a Texas resident, a great benefit is that you won’t have to pay property taxes on the increased value of your home because of the installation of a solar energy system. Local Incentives: Most Dallas residents get their energy from Oncor Electric Delivery. What’s one of the greatest things about this company? They give you a rebate of $1,001 per kW. . .meaning if you install a 5kW solar energy system, Oncor will give you $5,005. Nice, huh? But, those are not the only benefits. 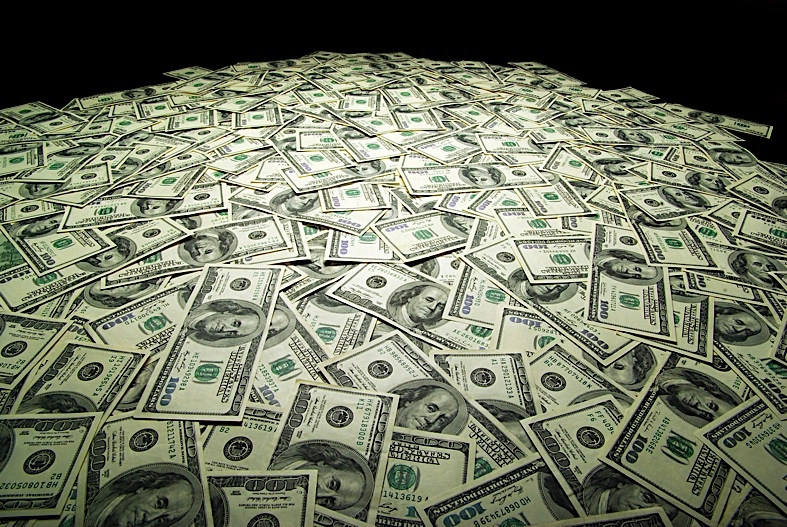 There are tons of financing options nowadays when it comes to solar. 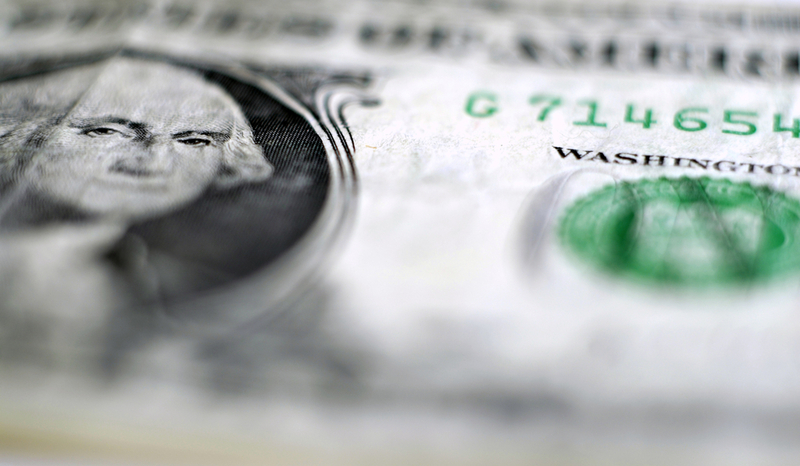 Just like buying a car, an upfront cash payment is not something a lot of people can afford. Many people have opted to take out solar loans to help pay for the system. In this scenario, you can take out a loan for the price of the system based on your local rebates (let’s say for a $20,000 system and using the Oncor rebate, you’ll need a solar loan for $14,995). Don’t forget you can use the 30% federal tax credit to pay down the loan. Considering average home values in Dallas go up by $17,000 for the installation of a solar energy system, and you’ll start hitting pure profit from your system around years 10 to 12, solar energy seems like a steal. This company provides free site assessments to jump start a 'solar-electric' relationship with its clients. They boast custom designed solar energy systems for both residential and commercial clients, matching your current energy consumption data with a system that will match your energy needs while satisfying your financial requirements. They offer Smart Home Technology to deliver solar energy reports and allow homeowners to control their energy usage from afar. Good Faith Energy is classified as a Nest Certified Professional, and certified by the Solar Training Network, Energy Sage, and Oncor. They maintain an A+ rating with the Better Business Bureau. Call them for a free quote. Solar View's mission is to replace carbon emitting generators with affordable, zero emission solar power. To achieve this mission, they concentrate on insightful solar energy evaluations to provide clients with optimally designed systems to meet their financial needs while also positively benefiting the environment. Serving the Dallas and surrounding areas SolarCity claims to provide you with 'affordable solar products to power your world.' This solar specialty business also provides a variety of hot technology products, including a solar roof that doesn't even appear to have solar panels on it. 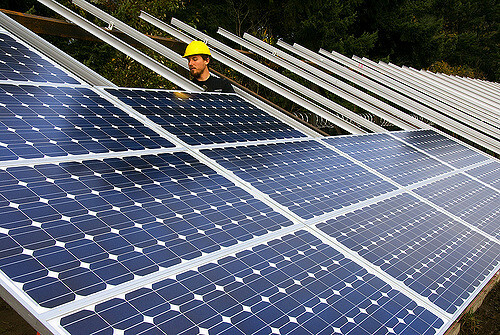 Partnering with Tesla, SolarCity provides solar roofs - 'a roof with invisible power.' If you're worried about the appearance of solar panels on your roof, you might want to check out what SolarCity has to offer. 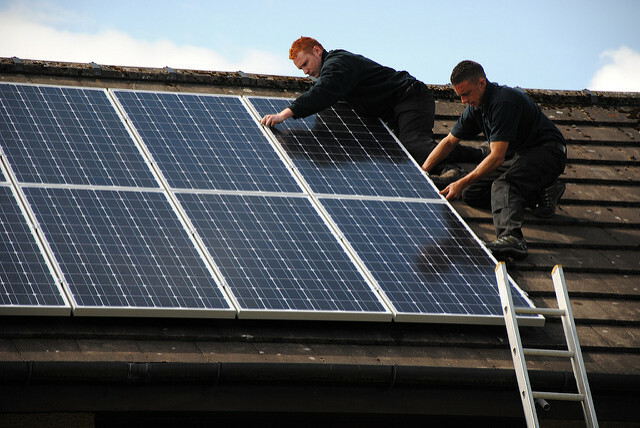 Who better to design a solar panel installation for your roof than one of Dallas' top roofing experts? Aspenmark Roofing & Solar, as the name states, specializes in residential and commercial roofs and solar energy installations. Their GAF Master Elite Certification allows them to provide one of the strongest warranties in the industry; Golden Pledge. If you choose Aspenmark Roofing & Solar, you can be assured you're going with experts who are deeply knowledgeable in all things related to roofing and solar energy and hold an A+ rating from the Better Business Bureau.